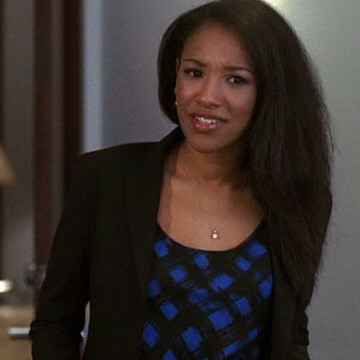 Candice Patton plays the part of Dan Coakley’s assistant in three season six episodes of Entourage. She appears for the final time 13 minutes into the season’s 10th episode as she walks in on Coakley’s meeting with Ari to inform him that Lloyd Lee is on the phone with an urgent request. Patton guests in several TV series, including One Tree Hill, Rizzoli & Isles, and Castle, and stars as Iris West in The CW’s The Flash.